Our practice is based on an important truth - you were born to be healthy not sick. An urgent problem exists in our community today. Too many people, even our kids, are overstressed and becoming sick as a result. We exist to help families in our community reclaim re-claim their health in a drugless natural way. Our unique solution fuses advanced technology with gentle, hands-on care to release this stress, improve balance & function, allowing you to return to your natural state of health. 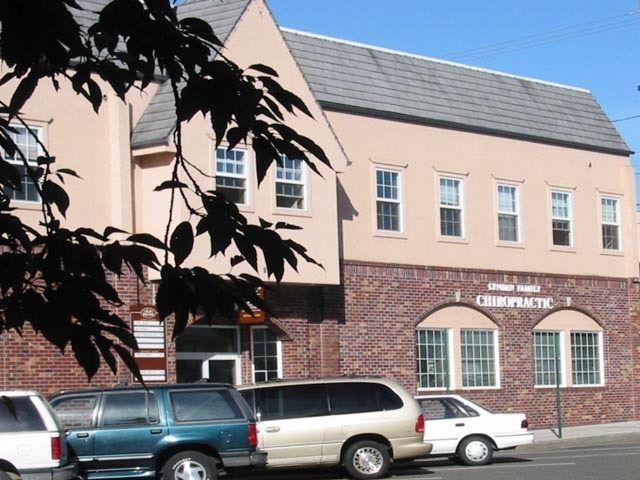 Serving Lynden and Whatcom County for many years, Lynden Family Chiropractic is a trusted name in the community serving three to four generations of many families. Our reputation speaks for itself; we get results and make a valuable difference in the lives of our patients. We recognize your full complement of needs and work with an extensive network of referral relationships for your benefit. When necessary, these include both alternative and traditional specialists in the fields of massage and physical therapists, naturopaths, orthopedists, neurologists, and general practitioners. We are a preferred provider for Regence, Blue Cross/Blue Shield, Premera, Labor & Industries claims, Auto Accident insurance and most major medical health plans, providing expert claims handling for our patients. However, many of our uninsured patients appreciate just how cost-effective care can be, with value pricing and payment options.